Mike Lucas is a 25-year volunteer fireman veteran who has seen his share of fatal accidents. Haunted by the memory of children found huddled between beds, Lucas decided to develop a product to help children escape in the event of emergency. 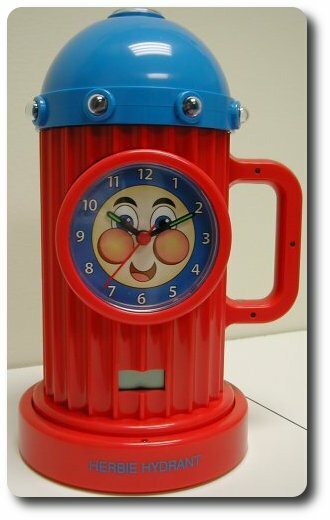 Over the years, Mike developed Herbie Hydrant, a colorful portable fire hydrant equipped with a clock, nightlight, flashlight, strobe light, siren, digital stopwatch, and a spare compartment for a child’s medical and emergency contact information. Children are trained to grab Herbie in the event of an emergency, holding onto Herbie until help arrives. 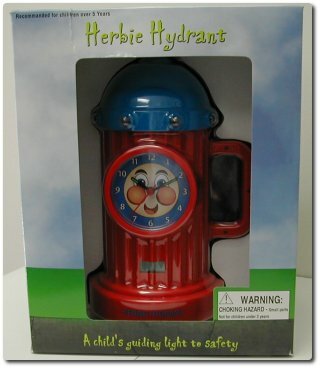 Removing Herbie from his recharging case will automatically trigger the strobe light and siren to enable rescue workers to identify children in the home.